The sense of place extends beyond just the winemaking process. It should also extend to the wine consumption process. The word terroir describes the many unique aspects of a location that influence a wine specific to a region, or as Jancis Robinson describes in the Oxford Companion to Wine, “the total natural environment of any viticultural site.” It is argued that aspects like soil, topography and climate, are all components that affect terroir, and ultimately of the unique taste of the wine. 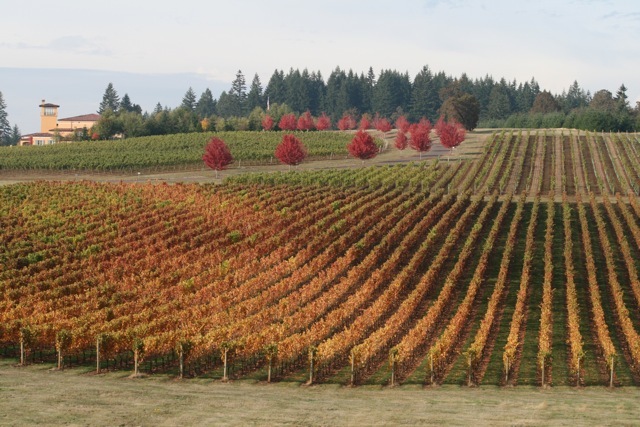 Terroir reflects place, therefore place matters. So, if place has a profound impact on the development and production of wine; what effect does place, or WHERE you drink a wine, have on the taste of it? Would the exact wine taste the same if you were to drink it at cellar temperature at a fine dining establishment as opposed to drinking it poolside in a tropical resort on vacation? I think about that question as I reflect on one of my worst experiences with wine. It happened on a recent trip to Hawaii where I brought with me a mixed case from home to share with friends while on vacation. Wines I knew well and loved, yet none of them ended up tasting right throughout the entire week. The setting was seemingly perfect. The company involved some of my closest friends. But the wines were all wrong. So, what was wrong with the wine I brought? This led to me thinking about “the other side of terroir.” By thinking about terroir beyond the winemaking process, and extending it throughout the consumption process, we could make better decisions on where we open a particular bottle thus giving that wine (and your experience of it) its very best sense of place. Three major environmental factors related to your impression of a wine should be considered before you open up your next bottle. Though these are not the only factors, they are certainly the ones that come up the most frequently. The physical setting of where you drink a wine can have a strong impact on the taste of it—or, more importantly, your impression of it. This idea of location extends to the external temperature of where you are. If you are at an outdoor event in 100+ degree heat even the best California cult Cabernet will not taste right, but if you come home after a long winter’s day, greeted by a warm fire and a home cooked meal, that same wine may be out of this world. This scenario may seem all too familiar for those who attended the recent North American Wine Bloggers Conference in Charlottesville, Virginia. Throughout the weekend temperatures were hovering around the 100 degree mark with oppressive humidity to boot. The first evening of the conference involved an outdoor reception at Monticello where the most well received beverage of the evening was an apple cider. Admittedly, it was the most refreshing drink available next to the sparkling water. In hot weather, consider opening wines that have a refreshing or cooling effect on you rather than opening up your best red wines as they may have the reverse effect. Whom you drink wine with can also affect your impressions of it. Being surrounded by good company in the right setting can elevate the quality of a simple wine. However, I have often found the opposite to be the case when going to an overly crowded wine festival or busy tasting room. 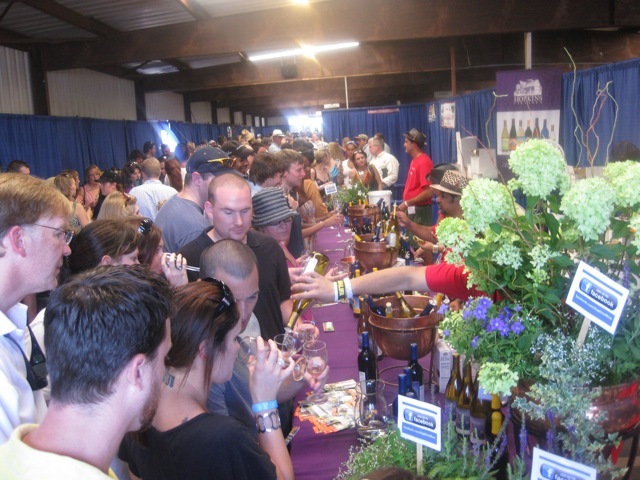 The larger, crowded, and unmanaged wine events can cause anxiety and frustration; I enjoy myself less there, and it carries over to any given wine. So what are we supposed to do in these situations? If I am going to a festival to learn about new wines I go early to avoid large or pushy crowds. In a bustling tasting room I recommend removing yourself from the crowd for a moment. Take a walk outside with your wine, perhaps among the grapevines, and get some fresh air. Taking your time sipping the wine in quiet while removing yourself from the crowd can allow you to better focus on the wine, and less on the distractions from a crowded room. Thus you will avoid feeling anxiety and stress that can influence your perception of a wine. Whether in one-on-one time with the winemaker or stuffed in the middle of wine consumers during a crowded festival, the people that surround you can influence your wine experience and the attention you afford the wine. Setting, temperature, ambient surrounding, the company you are with, these are all things that add up to the capstone—your emotional temperament. Your emotional temperament is an important factor to consider when drinking any wine. Your mood in any setting—negative or positive, anxious or relaxed—can play a role in determining your response to a particular wine. In a negative state of mind you are more likely to look for and point out negatives or perceived flaws in a wine. On the other hand, an exceedingly positive state of mind might make what you would normally consider an okay wine into an excellent one. One of my most memorable wines was a 1997 St. Francis Winery Cabernet Sauvignon, Kings Ridge Vineyard Reserve, consumed the evening I got engaged to my now husband. It was a cold December evening and we were eating wild ostrich tenderloins in the kitchen in our tiny San Francisco apartment. The overall experience elevated what was already a good bottle of wine into a really great one. Was it simply the emotional aspect that made this experience? Was it the setting? Or the wine? I believe we cannot separate all of these factors as they worked together to make the overall experience. Where you consume a wine can trigger emotional responses to what you are drinking, thus forging strong memories. Much like the effect music can have on your mood, a memorable bottle of wine can also transform you back to the very place where you first consumed the wine, who you drank it with and how much you enjoyed it, immediately improving your mood. Being aware of this when you open a nice bottle of wine can prove to be an opportunity to transform a negative mood, allowing you to clear your mind and focus on the wine and positive memories evoked. If we all think about the best or worst wine we have ever had I would bet that for the majority of us there is a story behind it, memories evoked, emotions that are attached that are connected to the actual place where the wine was consumed and the people we consumed it with. You cannot always separate all of those factors. Therefore all of these factors should be important in considering when and where you plan open your next bottle of wine. Most of us can agree there are many unique aspects of a specific place that influence the making of wine specific to that region. This is how many of us are used to thinking about terroir. We could say it is simply the place where the grapes are grown that makes it special, but we know it is so much more than that. The place where we consume that bottle of champagne matters too, beyond our traditional view of terroir. Perhaps I was careless in bringing some of my favorite wines to a hot, tropical location to consume in the heat and sunshine—perhaps it was just the wrong setting for them? Is this a call to winemakers to make sure they are telling us where (and not) to drink their product? No. 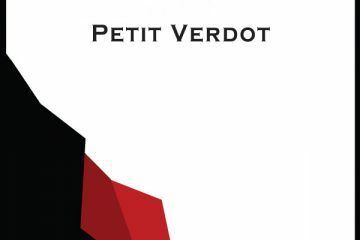 But understanding the other side of terroir when deciding what you are going to consume—and, importantly, where—could very well give that wine and your experience of its best sense of place. 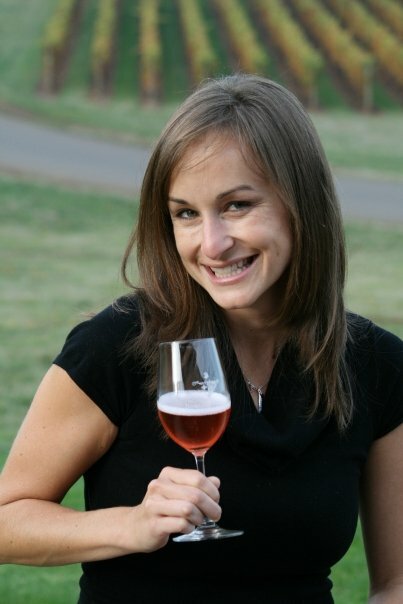 Mary Cressler is a Certified Sommelier through the Court of Master Sommeliers, a Wine Location Specialist through the Center for Wine Origins, and is the proprietor of Vindulge: Wine Education & Consulting. 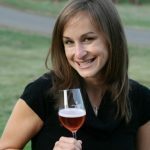 She conducts wine classes and events and offers consulting for individuals, restaurants, and event planners seeking a dynamic wine education event. She also writes about wine, food, and travel on her blog Vindulge. For more you can send Mary an e-mail at mary@vindulge.com. That would certainly make for an interesting discussion indeed. I would love to delve into that topic further, but it would make for an entirely different and lengthier post. 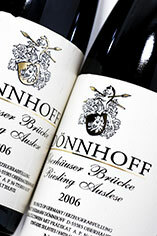 Atmosphere is very much influential in consumption as much as terrior in the making of the wine. The right wine consumed at the right time, the right place, with good company, and a great meal make for long memories. That being said what wines did you take to Hawaii? As a sommelier I would expect you to be more sensitive to the wines that would have been more friendly to the summer like climate, but you look very young and there is nothing like experience for proficiency in all arts and subjects. Ric, I brought a variety of wines with me, mostly sparkling and low alcohol whites with just a couple reds. Wines that I though would have been perfect for warm tropical weather, but they still just didn’t taste right to me. The Mai Tai’s however, were fantastic and I hardly ever drink any mixed drinks back at home. They just fit better with the ambiance I suppose. I think that what you discuss is not terroir, but setting of consumption. It is clear that barometric pressure, temperature, humidity, etc impact (but do not fundamentally and substantively transform) much of a wine’s characteristics. In all its conceptualizations, terroir has been about some intrinsic essence of the wine. Great and unexpected take on terroir…most people don’t realize the human element of terroir both in production and consumption. Thanks. Enjoyed the article. As a tasting room manager I often find it challenging to manage people’s anxiety during busy situations, especially with all the other variables considered such as staffing, weather, use of the given space, etc. Would you be able to offer any anecdotes, advice or suggestions from yourself or others on how to create and maintain a calming and welcoming environment in the tasting room? That is a great question and one I encountered many times while managing a tasting room a few years ago. I would often be in situations where I would be the only person behind the counter with dozens of guests in the tasting room. In situations like that the most important piece of advice I would offer is to always, no matter what, greet every single customer that walks in the door immediately. A friendly greeting (even a non-verbal wave or smile) will always provide a welcome environment and a positive first impression. When large crowds would be waiting I would often treat it almost like a tour group and speak to everyone at the same time and allowing them to ask questions and sharing the answers with the whole group. I think most importantly is to not stress or show a look of frustration to your guests. Stay calm, smile genuinely, and don’t be afraid to announce to your guests that it is busy and you will take care of them, it just may take some time. People are more forgiving when they know you are doing your best. They also do not want to feel ignored, so acknowledging that it is busy in a friendly way can make the customer feel more at ease. Mary, Thank you for a great, and thought-provoking story. It immediately makes me wonder how many points on the 100 point scale are in play just based upon location. I would also add another “other side” to your observations – noise. Not just in crowded halls, but anywhere. Personally, I can’t wrap my palate and my head around a wine when there is music blaring or children playing, wrestling, screaming, or otherwise being children. I wonder how many other people have the same problem? Hi David, Thanks for the feedback and I definitely agree about noise! I think I often lump that into people and thus effecting my emotions. Being surrounded by a large noisy crowd can effect my experience in a negative way, but the right “noise”, like a violinist or something soft and mellow, can enhance my mood and thus my experience. This probably explains why in a loud bar or crowded festival with live music I often opt for a cold beer instead of trying to attempt to explore a new wine. Michel Bettane, in the World of Fine Wine magazine no. 31 2011 states that terroir’s litteral meaning translates as ‘agricultural land’. Certainly, if we look at France’s southerly neighbours there are very similar terms that would all approximate to this when rendered into English – terruño (Spanish), terrer (Catalan), terrunho (Portuguese/Galician). Incidentally, it is interesting to note that what we refer to as ‘fine’ wine in English is treated differently in these producer countries; vin de guard (French), vino de guarda (Spanish), vi de guard (Catalan), vinho de guarda (Portuguese/Galician). All of which, of course, translate as wine for laying down. There is no agreed upon definition of terroir – to me, that’s what makes wine so special, it’s not a math equation and it is subjective. Let’s celebrate that! For my part, certainly I would share this opinion, as I imagine would most people. Etymologically, of course, it is always interesting and relevant to understand where terms come from, how they evolve, what their different meanings have been through time. However, the enigmatic nature of terroir as a concept in wine today is perhaps it’s most enduring attraction. I really really enjoyed this post, and it shows just how subjective wine-drinking and wine-tasting experiences are! Good article, Mary. I’m not ready to consign the ‘consumption atmosphere’ of a wine as an element of terroir, as that is not an element of the creation of the wine but the condition of consuming it. Still and all, I do catch your point, if not your terminology. Thanks for your feedback! I appreciate it. And to address your (and Fabio’s above) concern of me trying to add to an element/definition of terroir, I don’t believe I was doing that in the article. Rather, I was adding to the point of importance of place. We often refer to terroir as “a sense of place”, and looking at a different perspective of “a sense of place” in terms of where we consume wine was what I was hoping to accomplish. There is enough “definitions” of terroir, I certainly don’t wish to be adding to the list. Just hoping people would look at where they drink a wine with a sense of importance. I agree with your thoughts about tasting in the heat. Mary– So insightful! A similar thing happened to me in that I was recently in Hawaii and wanted special wines for a balcony toast, which I ordered from Wine.com, who failed me utterly and completely left me in the lurch on Lanai with only what I could cull from a tiny local market in Lana’i City. However, the company, the view, the excitment of the gathering made the mediocre wine taste awesome. Saved by the other side of terroir!